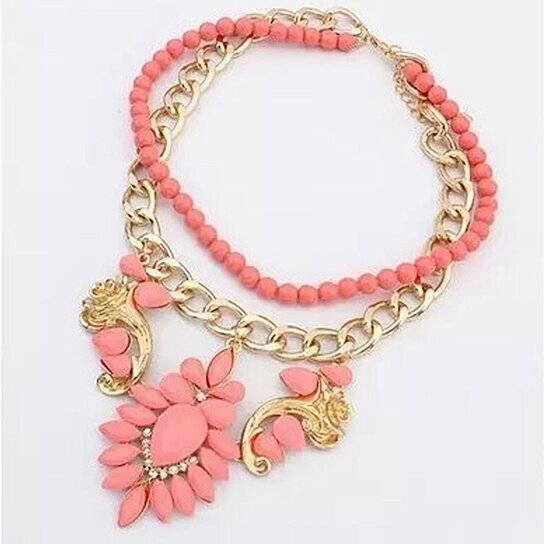 Item Description: Condition:100%Brand New Material:Alloy Style: Fashion Colors:As the photo showed Gender: Women Quantity:1 x Necklace Note: Due to the difference between different monitors, the picture may not reflect the actual color of the item. We guarantee the style is the same as shown in the pictures. Thank you!